These threads, year in and year out, always set up the masses for heartbreak. So very true, however we have to be optimistic now before reality sets in later. GBO!!!!!! Easy money on the last two, based on schedule alone. Over on TN/A&M and under on Fla. Rest look too close to bet. Thoughts? $1000 in your hand, how would you place the bets? Can’t see 10 for Fla with this schedule. I could see them losing any of Miami, Auburn, @lsu, UGA and @Mizzou. Miami and Auburn are two teams that have had success against Florida in their recent matchups. Florida is better, but both could upset them. They both have talent. The home team usually wins the Florida-LSU game. UGA is a better team. Mizzou has beaten them as badly as us the past two years and they should be a solid team this year. Will they lose all of those? No. But they aren’t a lock to go 10-2. No way. Mizzou picked up a Clemson QB that has an NC under his belt and if we sleep on UAB we’ll get out butts handed to us. Just saying don’t underestimate either of these teams. You can't compare what Dan Mullen did at MSU to what Kirby Smart has done at Georgia... two completely different situations. It'd be more fair to look at what Dan Mullen has done at Florida and what he's done is win more games in year 1 with a depleted roster than what Kirby did in year 1 with a loaded roster. If you want to look at what he did at MSU, all there is to see is that he took MSU to heights it's never seen before and never will see again. To maintain a .500 record against SEC opponents over a 9 year period while coaching at MSU is very impressive... something that's only been done by one other coach in MSU history, so yes I think "great" is a fair description. Dan Mullen does not scare me and I guarantee he doesn’t scare Jeremy. I will not. As will I not underestimate the impact a true freshman can make on the offensive line. There will be blood and our men will hold. Doesn’t matter if JP is “scared” of Mullen, I doubt he is either. All that matters is whether or not he can beat him....thus far, the answer is no after Mullen kicked JP’s arse in Neyland last year. Everybody in this thread betting over is why Vegas makes money. If any of you are that confident in UT this year, lets have some fun for charity. I'll take the under and you take the over for $100 to the winners favorite charity. He already has... they signed a top 10 class in February and their 2020 class is currently #7 on 247. The knock on him was his recruiting, but I can imagine how difficult that was at MSU. He's at UF now. With Miami and FSU struggling, he's pretty much got his pick of instate recruits. UF will soon be challenging UGA for east supremacy. I see 9 right off the bat. They get Auburn at home and they always seem to give UGA a tussle. The only one I don't like them in is at LSU. Team very well could get 10 wins this year. I like their shot of getting 10 vs our chances of getting 8. I think 99 percent of us expect a bowl appearance this year. Seven wins is pushing it. Qb? Lol. Qb was the “bright spot” last year for our offense. Everybody else outside of maybe Ty Chandler and JJ the second half of the season, absolutely sucked. The correct statement is if everybody else, on both of the sides of the ball, improves greatly to even low-level SEC players, and gets anywhere near the level of play if their QB, Tennessee has an outside chance of getting to 7 wins. I expect nothing from this team...nothing. [Thoughts? $1000 in your hand, how would you place the bets? College Football News predicts Tennessee will play Iowa State in the Liberty Bowl. 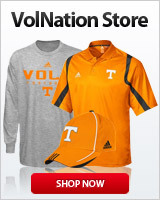 However,I think Tennessee will wind up playing in the Outback Bowl after finishing the regular season 9-3. They are more likely to go 6-6 than win 10 games. That's a brutal schedule and things will have to go perfect for them to win 10. Not a troll. Just have to say "past performance is future expectations". No quarterback to dominate small lineman and no wins verse top any team in how long.!? Pretty good for a first year coach who inherited the situation you described. Kentucky? Come on. Auburn was a better team. They have actually won a national championship since the turn of the century. And can beat Alabama. Kentucky should not be a signature win at any time. You'd be right about something is wrong. We haven't had enough quality players with a good coach combo in a longggggggggggg time!